Maintain the Material – The use of deodorizing and UV-protecting fabric sprays will prolong the life of fabric, keep it looking new and fresh, as well as inhibit the growth of mold and mildew. Regularly Redo the Finish – In a similar vein, protecting the wood, metal, or plastic on your furniture from the worst ravages of Mother Nature will result in furniture that lasts as long or longer than the manufacturer’s recommended lifespan. Repair as Needed – Utilizing replacement parts instead of buying an entirely new piece is an economical way to extend the useful life of outdoor furniture. For other outdoor ideas and tips in Atlanta, please contact us at Outdoor Expressions. You can find us online at OutdoorExpressions.net or reach us directly at 888-210-1116. Outdoor Expressions — making your outdoor space a place to remember. 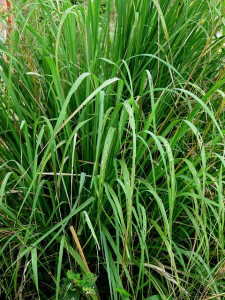 Add the Right Plants – Lemon grass and basil create an environment that mosquitoes despise, so place these plants in pots throughout your patio or deck. As an added bonus, you’ll get some great natural additions for your Chinese or Italian cooking. Eliminate Standing Water – Mosquitoes need stagnant water to reproduce. By eliminating their breeding grounds, you will significantly reduce your insect problem. Add a Little Smoke – Whether it comes from the barbecue pit or from strategically placed incense sticks, a little smoke is an excellent mosquito repellent. Use this method just before sunset for the maximum effect. For more information on this and other outdoor topics, or if you are in need of a commercial landscaping firm in Atlanta, please contact us at Outdoor Expressions. you will find us online at OutdoorExpressions.net or you can reach us by phone at 888-210-1116. Outdoor Expressions — making your outdoor space a place to remember. Frame the Building – First impressions do matter, so make the landscape of your office building work for you in this regard. In particular, a few banks of flowers and lights can showcase the front of the building and its entrances. Create a Welcoming Path – Similarly, flowers can define pathways all around the building and provide a welcoming lift for you, your tenants and their clients. Hide the Infrastructure – Sometimes HVAC units and other necessary “evils” must be placed on the ground level. 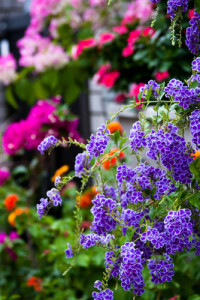 The right mix of fencing and flowers can completely eliminate them as an eyesore. For more information on this topic in particular or if you already need a commercial landscaping firm in Atlanta, please contact us at Outdoor Expressions and make your outdoor space a place to remember. Highlight the Entrance – You and your guests will always want to know where they are headed. For this reason, a well-lit entrance marks a waypoint that everyone can aim for. Use plants and lights for the best effect. Create a Curved Path – Not only does a curved path add an interesting aesthetic element to the décor, it also adds a slight element of mystery if some high shrubs are planted along its perimeter. Also, don’t neglect to light it for use at night. Keep it Level – Many landscape designers like to utilize all three dimensions in their designs. This is an excellent idea except when it come to walkways. Entrances should be as even and free of obstructions as possible as no one is expecting any problems there. For more on Atlanta landscape designers, please contact us at Outdoor Expressions and make your outdoor space a place to remember. Rhododendrons – An extremely poisonous plant that induces almost immediate vomiting, the rhododendron should definitely be kept in area where pets and small children are not left unattended. 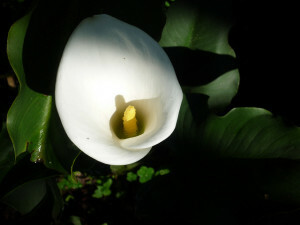 Lilies of the Valley – Though it is a beautiful plant, the lily of the valley can induce heart attacks if ingested, and its dangerous chemical can seep into its surroundings. Do not even let a pet drink water that has been near this plant. Hydrangea – Another common and attractive plant that harbors some serious problems for those who eat it, hydrangeas should be planted in the more inaccessible parts of a garden. 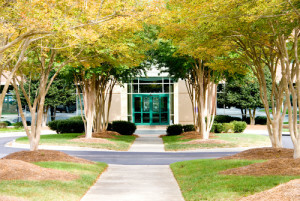 For more information about choosing the right plants for your landscape or if you are in need of a commercial landscaping firm in Atlanta, please contact us at Outdoor Expressions. Water in the Morning – Without the heat of the midday sun, a landscape has more chance to absorb and water that is sprayed on it so morning or even nighttime is the best time to water a landscape. Add Mulch – Not only does mulch add a visually attractive element to your landscape but it allows water to easily run under it where the water evaporates up to 80% less than on unprotected ground. Invest in Drip Irrigation – Owners investing a property for the long term should consider adding a modern drip irrigation system to their property. Not only is it good for the environment but also significantly cuts operating costs. For more ideas about this topic and other commercial landscaping tips, visit us at Outdoor Expressions. Make your outdoor space a place to remember.